‘귀신이 재주를 피운다 ‘ 당나귀를 타고 전국을 누비며 한 해 삼천 명 이상의 조선 여성들의 몸과 영혼을 치유하던 조선 최초의 여의사 박에스더를 사람들은 이렇게 표현했다. 남자 의사에게 몸을 보여줄 수 없었던 조선의 여성들에게 같은 여성, 그것도 조선의 여성이 자신들의 아픔을 치료해주는 것은 귀신이 재주를 피운다고 할 만큼 기이한 일이고 고마운 일이었으리라. 1877년 가난한 선비인 김홍택의 넷째 딸로 태어나면서 그녀가 얻은 이름은 김정동이었다. 아펜젤러( H. G. Appenzeller) 선교사의 집안일을 도왔던 아버지를 통해 이화학당에 네 번째 학생으로 입학하면서 기독교를 접하게 된 그녀에게 믿음의 전환점이 되는 체험이 찾아온다. 1888년 폭풍우가 몰아치던 여름밤, 열두 살 어린 소녀는 노아의 홍수 이야기를 떠올리며 죄의식이 엄습해오는 두려움에 휩싸이게 되는데, 소녀 김정동은 당황하지 않고 죄를 고백하며 구원을 간구하는 기도를 드리며 마음의 평화와 구원의 확신을 얻게 되었다. 이후 이화학당 동료들과 함께 정기 기도회를 하기 시작하였고, 1891년 올링거(F. Ohlinger) 선교사에게 세례를 받으면서 점동에서 세례명 에스더로 불리게 된다. 미 감리회가 세운 조선 최초의 여성병원 보구여관에서 의료선교사 로제타셔우드(Rosetta Sherwood) 의 통역을 돕게 된 박에스더는 선교사들의 헌신을 보며 하나님의 소명에 대해 고민하기 시작하고 의사로서의 꿈도 품게 되었다. 에스더는 선교사 셔우드의 선교지가 조선이듯이 자신에게 주어진 선교지는 보구여관이라고 자각하게 된다. 서양인이 아닌 조선의 여성이 조선 여성을 치료하는 것이 회선의 방법이라고 판단한 셔우드선교사는 보구여관 안에 의학 반을 만들어 기초 의학을 가르치기 시작했는데, 에스더도 이때부터 의학을 공부하기 시작하게 되며 그녀의 삶의 방향이 구체화하기 시작했다. 1892년 홀(W.J.Hall) 선교사와 결혼을 한 셔우드 선교사는 남편의 사역을 돕던 박유산 이라는 청년을 에스더의 신랑감으로 주선하게 된다. 신랑이 신부보다 지체가 낮은 집안이어서 에스더의 부모는 탐탁히 여기지 않았으나, 에스더는 ‘부자거나 가난하거나 지체가 높고 낮음이 중요한 것이 아니라 기독교 신앙을 가진 것이 중요하다’ 라는 확고한 신앙심으로 부모를 설득하여 이듬해 5월 박여선과 결혼을 하게 된다. 그녀의 이름이 김정동에서 김에스더로 그리고 이제 남편의 성을 따라 박에스더로 바뀌게 되었다. 1894년 홀 선교사 부부는 평양으로 이주하여 북쪽 지방 감리교회 개척에 나서게 되는데 박에스더 부부도 평양행에 동참하게 된다. 하지만 청일전쟁 발발 상황이던 시점이어서 한 달 만에 서울로 돌아오게 되고, 이듬해 청일전쟁 와중에 출산한 첫아들을 이틀 만에 잃는 슬픔을 겪는다. 한편 평양으로 되돌아간 홀 선교사가 환자들을 치료하는 중에 얻은 열병으로 세상을 떠나게 되면서 에스더의 든든한 후원자 홀 부인도 슬픔을 겪게 된다. 남편의 죽음으로 슬픔과 충격에 빠진 홀 부인과 동행하여 에스더 부부는 미국행을 결정한다. 오랫동안 꿈꿔왔던 ‘조선 여성이 조선 여성을 치료하는’ 그날을 그리면서 말이다. 홀 부인의 주선으로 1895년 2월 뉴욕 리버티의 공립학교에 입학한 에스더는 의과대학 준비를 착실히 준비하였고 남편 박여선은 셔우드가의 농장에서 일하며 이런 아내를 뒷바라지하였다. 하지만 미국생활은 그리 넉넉하지않아 뉴욕시의 어린이병원에 취직하여 생활비를 벌며 의대준비를 하던중 과로로 인해 두 번째 아기를 잃게 되고, 슬픔을 극복하기도 전에 홀 부인이 공부하던 펜실베이니아 여자의과대학 진학이 좌절된다 . 이때 조선으로 돌아갈 계획을 세우던 홀 부인은 에스더에게 자신과 함께 돌아갈 것을 권유했지만, 의사가 되어 돌아간다는 그녀의 의지는 확실했다. 1896년 10월 볼티모어 여자의과대학에 입학했고 마침내 1900년 6월 의학박사 학위를 받아 한국 최초의 여의사가 되었다. 그러나 누구보다도 간절히 의사 되는 날을 고대하며 헌신적으로 아내를 외조하던 남편 박은산은 졸업을 두 달 앞두고 폐결핵으로 세상을 떠난 뒤였다. 1900년 11월 귀국한 박에스더는 보구여관 (서울에 설립된 한국 최초의 여성전용병원)에서 여성 환자들을 치료하기 시작하였다. 이후 안식년을 마치고 돌아온 홀 부인과 평양으로 임지를 옮겨 광혜여원 (평양에 설립된 여성전용병원), 어린이병원, 그리고 최초의 맹아학교를 돌봤으며, 간호사 양성과 전도부인 교육을 체계화하는 일까지 담당하였다. 그녀가 가는 곳마다 그녀를 구경하기 위한 여성과 어린이들이 모여들었고 따라서 복음 전도에도 많은 열매를 거둘 수 있었다. 조선 최초의 여의사로서, 신실한 기독교인으로서 10년간 쉴틈없이 달려오던 박에스더는 과로로 인해 폐결핵을 앓게 되고 1910년 4월 13일 34세의 짧은 생을 마감한다. 그녀는 남녀가 유별하던 풍조 속에서 아파도 치료를 제대로 받을 수 없었던 여성들을 육체의 질병과 그리고 그들의 영혼까지 치유하는데 헌신하였다. In 1877, Esther Park, who was initially named as Jung-Dong Kim, was born as the fourth daughter of a poor scholar, Hong Taek Kim. Through her father who assisted the housework of a missionary named H.G. Appenzeller’s, Esther came to experience Christianity as a fourth student in Ewha Hakdang. Her entrance into Ewha Hakdang firmly established a turning point in her faith. In the midst of a storm in 1888, a twelve-year-old girl reminisced about the story of Noah's flood and was surrounded by fears of guilt. 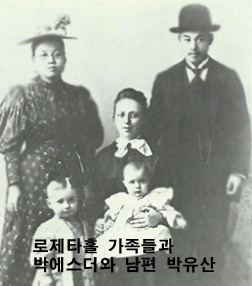 Subsequently, Esther was able to form a regular prayer meeting with the support of her colleagues from Ewha Hakdang and got baptized by missionary F. Ohlinger in 1891. It was through this baptism that her name shifts from Jung-Dong Kim to Esther. Esther Park became a translator for Rosetta Sherwood, a medical missionary, in the Korean Women’s Hospital that was built under the name of U.S. Presbyterian. After seeing the crucial sacrifices that were made by the missionaries, Esther fell into a pensive mood due to an emergence of God’s calling and the growth of her desire to become a doctor. Additionally, Esther detected the importance of location and realized that just like how Sherwood’s mission field is located in Chosun, her mission field belonged in the Bogu Yu Kwan (the first Women’s Hospital in Seoul). After pinpointing the fact that Esther is a non-Western woman, Sherwood determined that Esther, a woman with Korean nationality, should also acquire a skill to treat Korean women in Chosun. Soon, Esther obtained the skill on the basic medicine from a medical class in Bogu Yu Kwan that was launched by Sherwood. During the process of obtaining the skill, the direction of her life which remained obscure for years became more concrete. In 1892, Rosetta Sherwood married W.J. 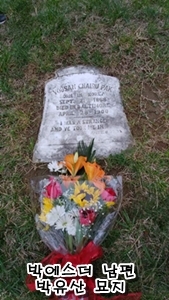 Hall who also happened to be a ministry and arranged a marriage for Esther to a young man named Yi Sun Park who helped with her husband’s ministry. Despite the fact that Esther’s parents were not pleased with the bridegroom being a lower class than the bride, Esther persuaded her parents with a firm belief that “rich or poor, and high class or low class, are meaningless distinctions. Confirming for the presence of Christianity is the most important.” In May of the following year, she married Yi Sun Park. Her name changed from Jung-dong Kim to Esther Kim or Esther Park. In 1894, Mr. Park and Mrs. Park joined Mr. Hall and Mrs. Hall on the journey to Pyongyang in order to construct the North Regional Methodist Church. However, after the outbreak of the Sino-Japanese War, they immediately returned to Seoul after a month and Esther suffered the loss of her first son after two days of his birth. In the meantime, Mrs. Hall also awaited the death of Mr. Hall who had been exposed to the deadly disease from his patients in Pyongyang. Soon, accompanied by Mrs. Hall, Esther decided to depart for the U.S while visualizing for a day where “Chosun woman treats other Chosun woman”. In February 1895, with the preparation of Mrs. Hall, Esther entered the public school in New York, Liberty, while her husband worked for her on the farm that is owned by Sherwood’s. Due to a life in the U.S. being unstable, Esther started working at a children’s hospital in New York city to earn living expenses and to continue her education on medical science. However, she collapsed and lost a second baby due to overwork. Even before she overcomes her sorrow over a miscarriage, she was turned down by the Pennsylvania Women’s Medical College. At this time, Mrs. Hall, who had planned to return to Korea, invited Esther to join her, but Esther’s willingness to further her education in the U.S. outweighed her invitation. 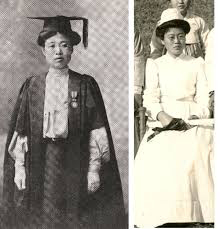 In October 1896, she entered the Baltimore Women’s Medical School and in June 1900, she received her doctor’s degree in medicine and became the first female doctor in Korea. However, her husband, who was eager to see Esther as a doctor than anyone else and was devoted to look after his wife, passed away after being diagnosed with pulmonary tuberculosis for two months before her graduation. In 1900, Esther began to treat female patients at a Bogu Yu Kwan. After returning from her sabbatical years, she returned to her hometown, Pyongyang, with Mrs. Hall and helped with the management of Gwanghye Ryowon (Women’s Hospital in Pyung Yang), Children’s Hospital, and the first acupuncture school. Moreover, she was responsible for organizing nurse training and education as a ministry. Wherever she went, women and children gathered to see her and she was able to bear fruit in evangelism. As the first female physician of Chosun, Esther, who had been running interminably for ten years as a faithful Christian, suffered from pulmonary tuberculosis due to overwork and finished a short life at the age of 34 on April 13, 1910. Esther truly devoted her life to the works of healing the physical illness and the souls of the Chosun women who were unable to receive a proper treatment due to a patriarchal society.